Fusion's LEMONADE is a digital series about real people who have overcome life-changing obstacles. This series is not only about their power to defy the odds and shatter expectations, it's about their ability to redefine those odds and rid preconceived notions of their limitations. Catch it on the Fusion Youtube Channel. 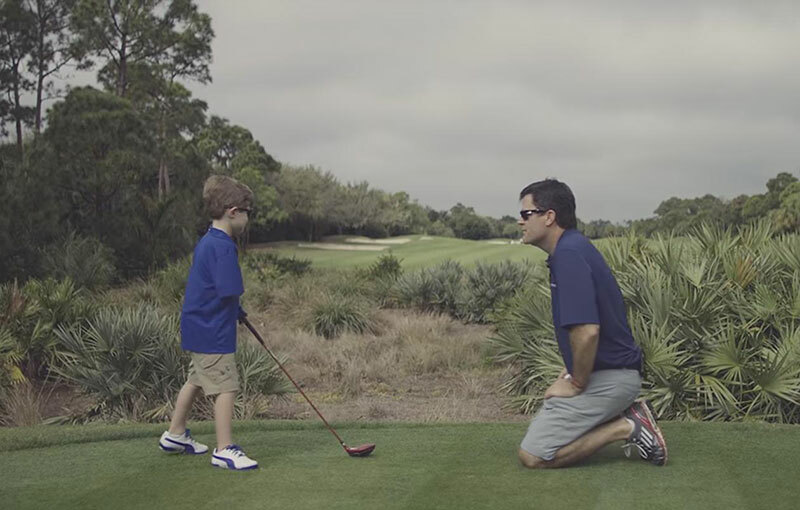 The series features unique individuals, including Tommy Morrissey, a one-armed kid who is a golf star and also dedicates time to teach others how to overcome their disabilities through this strategic sport. Before 5-year-old golfer Tommy Morrissey was born, a blood clot stopped his right arm from developing. His parents were worried he wouldn't be able to do all the things other kids could do, like play sports. Inspired by Pixar's Nemo with a little fin, Tommy showed his parents that he could do anything he wanted to, and excel at it. Aaron feels guilty when people say they're sorry he's "confined to a wheelchair." To Aaron, the wheelchair is pure fun adrenaline. His spina bifida is just a minor detail. Instead of focusing on his diagnosis he chose to focus on becoming an extreme wheelchair athlete, performing mind bending tricks on two wheels. A car accident resulted in the amputation of Natalie Bieule's right leg, but nothing would stop her from dreaming big. "It's not a disability like so many people like to say," says Bieule with the following message to other amputees: "I sympathize—but get up. Get out. Do something." After six months of training, Bieule threw the American record for discus and competed in the Rio 2016 Paralympic Games. When Marlana Vanhoose was born she was not expected to live longer than a year. She was only a few weeks old when doctors discovered she was blind due to Cytomegalovirus. When Marlana beat the virus, she was diagnosed with cerebral palsy. At age 2 Marlana discovered her love for music and began playing the piano. Today she is a member of the Artist Music Guild and sang the national anthem before Game 6 of the 2015 NBA Finals, which news outlets deemed the highlight of the night. Watch this unique series on Fusion's Youtube channel by clicking here. Fusion is a multi-platform media company that serves a young, diverse, and inclusive millennial generation across its television and digital platforms​, www.fusion.net. Fusion delivers a unique mix of news, pop culture, and comedy content that is both smart and irreverent​.